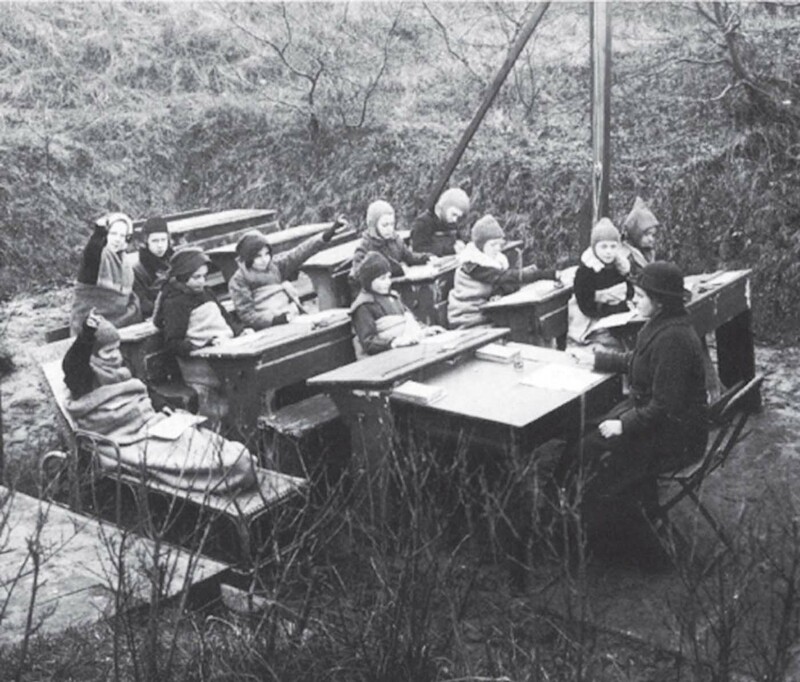 In the early 20th century, open air schools became fairly common in Northern Europe, originally designed to prevent and combat the widespread rise of tuberculosis. 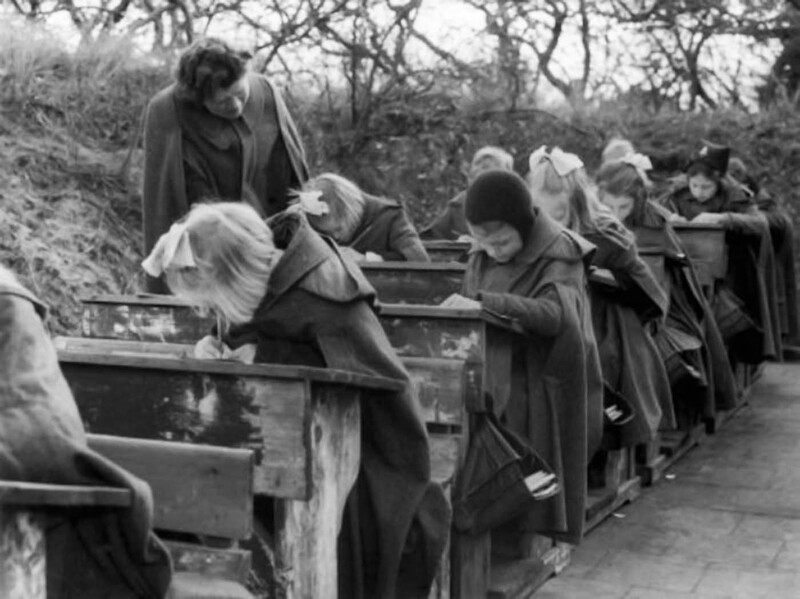 Open air schools were purpose-built educational institutions for children, that were designed to prevent and combat the widespread rise of tuberculosis that occurred in the period leading up to the Second World War. The schools were built on the concept that fresh air, good ventilation and exposure to the outside contributed to improved health. The new institution was established by doctors researching new prophylactic methods, and educators interested in an open air educational experience. In 1904, Dr. Bernhard Bendix and pedagogue Hermann Neufert founded the first school of this kind: the Waldeschule of Charlottenburg, near Berlin, Germany. Classes were conducted in the woods to offer open-air therapy to young city dwellers with pre-tuberculosis. The experiment, conducted by the International Congresses of Hygiene, was immediately attempted throughout Europe and North America: in Belgium in 1904, in Switzerland, England, Italy, and France in 1907, in the United States in 1908, in Hungary in 1910, and in Sweden in 1914. The schools were called “schools of the woods” or “open air schools”. Often they were remote from cities, set up in tents, prefabricated barracks, or repurposed structures, and were run during the summer. The schools were built on the concept that fresh air, good ventilation and exposure to the outside contributed to improved health. 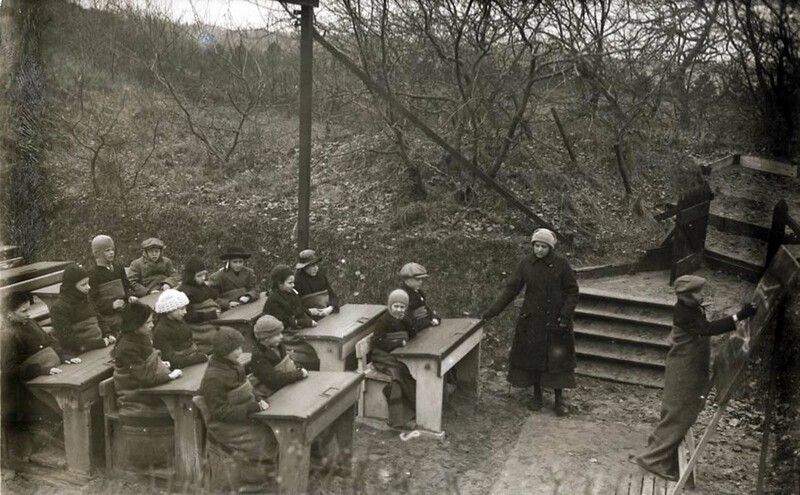 After World War I the open air school movement became organized. The first International Congress took place in Paris in 1922, at the initiative of The League for Open Air Education created in France in 1906, and of its president, Gaston Lemonier. There were four more congresses: in Belgium in 1931; in Germany in 1936; marked by the involvement of German doctor Karl Triebold; in Italy in 1949; and in Switzerland in 1956. According to the ideas of the open air school, the architecture had to provide wide access to the outdoors, with large bay windows and a heating system that would permit working with the windows open. The most remarkable of these schools were in Amsterdam, Holland by architect Jan Duiker (1929–1930), in Suresnes, France by Eugène Beaudoin and Marcel Lods (1931–1935), and Copenhagen, Denmark by Kai Gottlob (1935–1938). The idea quickly became popular and an open air school movement was introduced for healthy children too, encouraging all students to be outdoors as much as possible.